St. Patrick’s Day is in the books. Now, I have Easter on the brain. Easter has become our biggest family and friends holiday. We start the day with a huge breakfast and then start preparing dinner with all the fixin’s. Ham, obviously, is at the head of the table accompanied with a vast variety of supporting players–potatoes, Ambrosia salad, relish trays, breads, and desserts. My son and his friends, of which many have worked in professional kitchens, thankfully hijack my kitchen, finishing my dishes, and preparing some of their own. Lucky me–they even clean up! After dinner my dad shares with the kids the Easter story. Let’s keep it real here. The day is about the resurrection of Jesus from the grave! While he tells the story and the kids do a craft, the adults hide at least one thousand Easter eggs around the property. Then, the hunt begins! 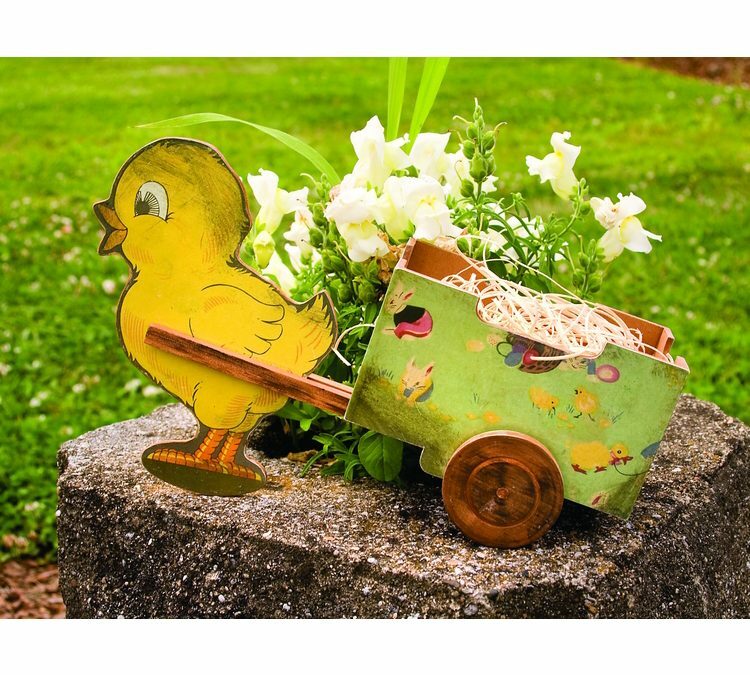 In honor of the Easter season being kicked off I’ve placed our Vintage Chick Wagon on sale for $10.99. Regularly priced at $12.29. Get yours today and let the Easter season and festivities begin!